If you’re looking for a great way to burn off some of those extra calories, get a little exercise and learn a new form of dance, then you’ve come to the right place. Cottonwood Creek Cloggers is the place to be! ​Clogging Feet are Happy Feet !!! Beginner classes are held by Private Lesson Only. The classes are 30 minutes each week and last approximately 8 weeks. 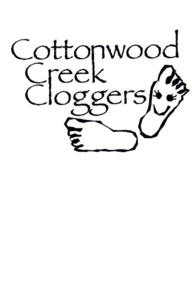 If you are interested in learning to clog, email: cccloggers@cox. net for more information. Email us today to book a performance for your upcoming event.